ProActive Integrated Security Ltd. Installs Alarm, CCTV & Security Systems In Greater Vancouver. 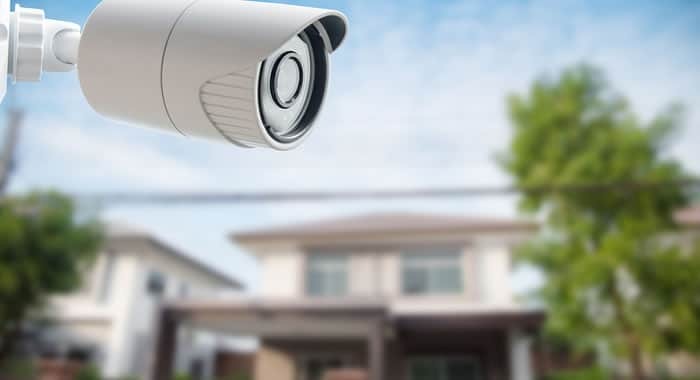 CCTV or Closed Circuit Television is a secure video monitoring network that keeps an eye on your locations and the property surrounding and within. CCTV video camera systems can be setup and installed to cover building perimeters, entry ways and exits, gates, equipment yards, warehousing facilities, hospitality facilities, private residences and more. They can be used to check in on the kids when you are away from home and they can also help you see if the delivery guy has been by or send you a warning when suspicious motion is detected. Thanks to wireless technology, you can tune in remotely through your smartphone, tablet or computer and keep an eye on what means the most to you. CCTV camera systems are an excellent deterrent against theft and vandalism and they also help law enforcement make arrests and secure convictions if a crime has been committed against your property. ProActive Integrated Security Ltd. is a full service video surveillance system sales and installation company serving Greater Vancouver and the Lower Mainland. We specialize in the careful planning and installation of CCTV video monitoring systems for both residential and commercial clients. From making sure your kids and pets are safe when under the care of another to monitoring millions of dollars worth of inventory or equipment our trade certified technicians will be able to install a CCTV video monitoring system that will meet your specific needs. Investigate events based on date, time or location. Monitor and control systems and machines. Why Choose ProActive Integrated Security Ltd.? When you choose to place your security into the hands of ProActive Integrated Security Ltd. you’re partnering with a local team of dedicated and knowledgeable technicians who take the safety and security of your home or business seriously. You can count on us to be there 24 hours a day, 7 days a week, 365 days a year. We might not be the biggest, but we are certainly one of the best! If you’d like to request an estimate for CCTV or video surveillance installation from ProActive Integrated Security Ltd. please give us a call (604) 522-2121 or fill out our contact form and someone will get right back to you. Extremely prompt and excellent service. Troy (service tech) went above and beyond to help me out. Would recommend them for sure. Thanks. About ProActive Integrated Security Ltd.
ProActive Integrated Security Ltd. is an alarm and security system installation and service company based out of Aldergrove, BC and serving all of Greater Vancouver and The Lower Mainland. Our services include security system installations, alarm monitoring, home automation, CCTV video surveillance, and more.